The village of Cold Spring Harbor is one of the small communities that hug the North Shore or Sound Shore of Long Island from Willets Point to Montauk Point. Cold Spring Harbor has neighbors with names like Oyster Bay Harbor, Bayville Bridge, and Eaton’s Neck Point. In 1874, Cold Spring Harbor featured a maritime life style, scenic beauty, natural springs, and coal pirates. The coal stealing pirates were ordinary people living in Cold Spring Harbor. What Happened to the Coal? supplied New England ports with coal. Owners of companies like the Lehigh Valley Coal Company were increasingly puzzled about a yearly loss of coal totaling thousands of tons as coal barges carried their black diamond cargoes from seller to buyer. At first, the short shipments produced suits and compromises between the coal buyers and distributors at Providence,Boston, Portland and other ports and the coal companies, but the short shipments continued. The mining companies began to create contracts that specified delivery only to the coal carrier and didn’t guarantee the safe delivery of the coal shipment from the coal carrier to the customer. If something did happen to the coal shipments as the barges and schooners carried them down the rivers and Long Island Sound, the customer usually footed the bill. The owners vigilantly and unsuccessfully tried to trace the coal shipments which were loaded at Baltimore, Maryland, and Port Johnson, New Jersey, into schooners built especially for the coal freighting trade. After they were loaded at Baltimore and other ports, the coal schooners generally traveled the coast up through New York Bay to the East River and on through Hell Gate to Long Island Sound and Cold Spring Harbor and the other communities along the Sound Shore. After much trailing and tracing, investigators finally determined that someone was stealing the coal from the barges. They had to discover how the coal was stolen and who was stealing it. 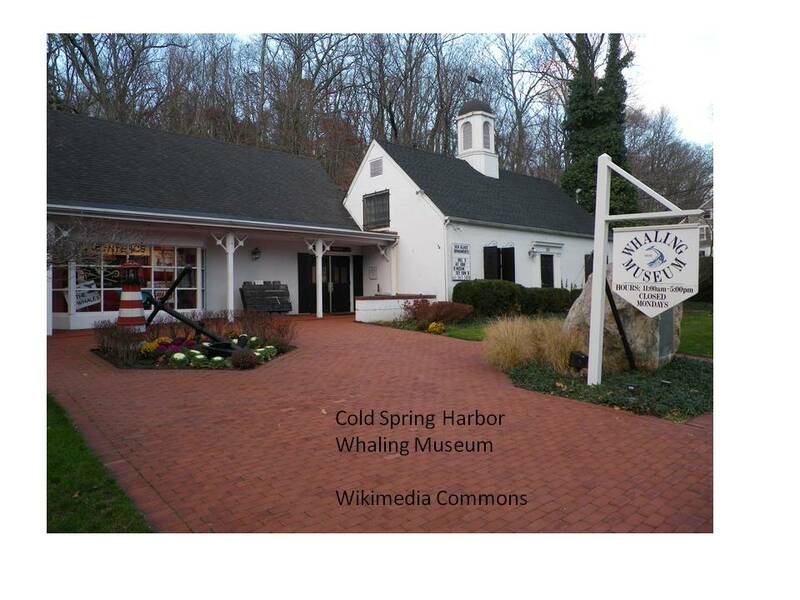 Cold Spring Harbor, A Natural Coal Mine? Cold Spring Harbor had an agency that sold coal and a coal yard that always carried an abundant supply of coal. A few people in Cold Spring Harbor wondered where the coal came from and why they didn’t have to pay for it, but most of them held their peace and enjoyed the prosperity. Eventually, news of the liberal and free coal supply in Cold Spring Harbor filtered back to the mine owners and their investigators managed to find a few citizens in Cold Spring Harbor who were willing to keep their eyes and ears tuned to Long Island Sound and the coal barges and funnel any information they gathered to the mine owners. Citizens, both informants and participants, kept a sharp watch on the Sound Shore and around April 1, 1874, people in Cold Spring Harbor watched one of the coal barges that their village owned anchor near the shore to spend the night. The Sound weather had turned dark and stormy, so it seemed natural that the coal barge should drop anchor and wait out the storm and the night. Captains and their crews considered this routine safety practice in navigating the often dangerous Sound and it also gave them a chance to spend a few hours with their families. For several nights during the first two weeks of April, 1874, captains and crews of the Cold Spring Harbor owned coal barges spent the night anchored off shore, and for several nights several pairs of eyes and ears watched and listened. A few especially alert watchers believed that in the dead of the night they heard sounds like the falling of coal coming from the harbor shore. The next morning when they went down to investigate, they didn’t find any evidence that coal had been unloaded under the cover of darkness. Finally on the evening of Saturday, May 2, 1874, just before dark, a particular coal schooner, name and captain both well known in the community, dropped anchor in Cold Spring Harbor just before high tide. The captain had carefully calculated his timing, which permitted the schooner to anchor in a small cover of the harbor near the beach which stood completely uncovered at low tide. One of the citizen informants immediately edged down to the beach, keeping out of sight and watching the activity on the schooner and on the shore. Between 8 and 9 o’clock in the evening while the light still held, the captain and the crew threw several tons of coal into the water and some of the crew loaded coal into small boats. People quickly carried away large piles of coal stacked on the beach and the captain and his crew unloaded more coal. They carried piles of coal to their houses. Then when ebb tide came, the schooner weighed anchor and sailed away, but the people of Cold Spring Harbor continued the work of carrying away the coal that the captain and crew had left high and dry at low tide throughout the night. they offered to act as personal witnesses if the company decided to prosecute. On June 10, 1874, the Brooklyn Eagle reported that the two citizen informants had told them the story hoping that the notorious captain, crew, and their schooner would be punished. The Eagle reporter went to John F. Wilson’s office at 50 Broadway and asked if the Lehigh and Wilkesbarre Coal Company intended to prosecute the coal stealing culprits. John F. Wilson would not comment. The Brooklyn Eagle did comment, pointing out that in the end the coal consumers would be the one to suffer the consequences of the coal heists. “The great coal companies are not legally bound to make the deficiency good, while the distributors, determined not to be losers, charge an additional price for the coal received in order to make good the theft,” it said. The Brooklyn Eagle appealed to the citizens of Cold Spring Harbor to stop participating in the coal heists on their front doorstep so that Long Island communities and the rest of the nation would find some relief from high coal prices. Most of the citizens of Cold Spring Harbor and the other communities of the Sound Shore of Long Island continued to heist coal well into the Twentieth Century, motivated by monopoly coal companies fixing prices, coal strikes, coal shortages, and proximity and opportunity. It also helped to have a generational supply of ordinary citizens working part time as coal pirates! Anthracite Region in the Twentieth Century. Cornell University Press, 2005. A Human History. Penguin, 2004. Environment. New York University Press, 2004.